The North Precinct’s officers are responsible for patrolling over 159.4 acres of land, parking decks and stations. On an average weekday, officers are required to protect and serve between 77,000 to 82,000 patrons entering north of Peachtree Center Station. The North Precinct is located at Dunwoody Station and is responsible for the 14 yellow and red line stations north of Peachtree Center. There is also a mini-Precinct located at Lindbergh Station. The South Precinct’s officers are responsible for patrolling over 71.1 acres of land, parking decks and stations. On an average weekday, officers are required to protect and serve between 41,000 to 48,000 patrons entering between the Garnett Station to Airport Stations. The South Precinct is located at College Park Station and is responsible for 7 yellow and red line stations south of Five Points Station. The East Precinct’s officers are responsible for patrolling over 114.4 acres of land, parking decks and stations. On an average weekday, officers are required to protect and serve between 33,000 to 38,000 patrons entering between the King Memorial and Indian Creek Stations. The East Precinct is located at the Indian Creek Station and is responsible for 8 stations on the blue and green lines. The Central Precinct’s officers are responsible for patrolling over 30 acres of land and stations. 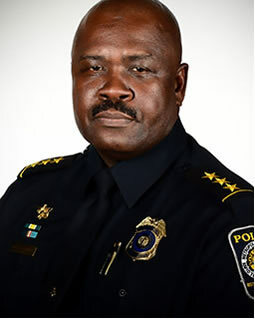 On an average weekday, officers are required to protect and serve between 44,000 to 55,000 patrons entering between the Five Points Station, Bankhead Station, H.E. Holmes Stations Ga State and Peachtree Center Stations. The Central Precinct is Located at the Five Points Station and is responsible for 9 stations on the blue and green lines. 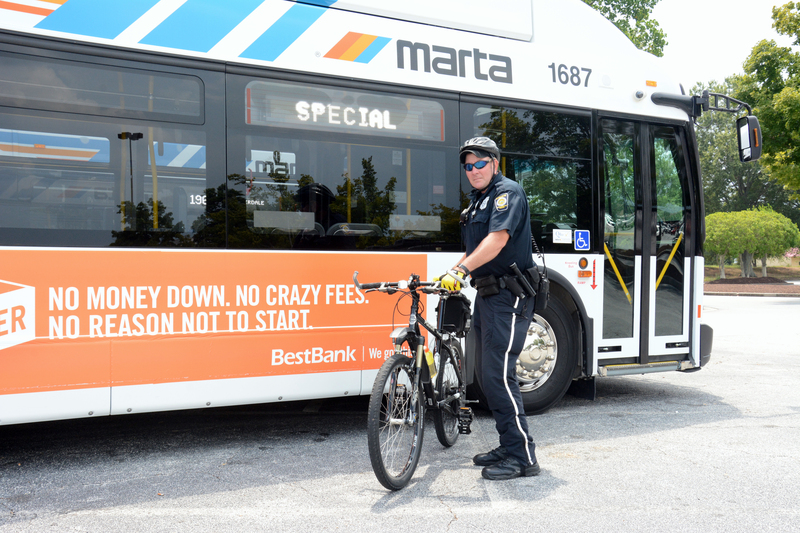 Bicycle Patrol is designed to reduce crime within the MARTA system. Police bicycles are highly effective community policing tools which increase contact between the officers and the public. Bicycle patrols are utilized in each of the four precincts. The Juvenile Crime Prevention Team consists of four sworn officers from the North, South, East and Central Precincts. The purpose of the J.C.P.T. along with the Truancy and Gang Resistance Education and Training Program (G.R.E.A.T.) is to curtail the local juvenile crime rate. The officers assigned to J.C.P.T. /G.R.E.A.T. 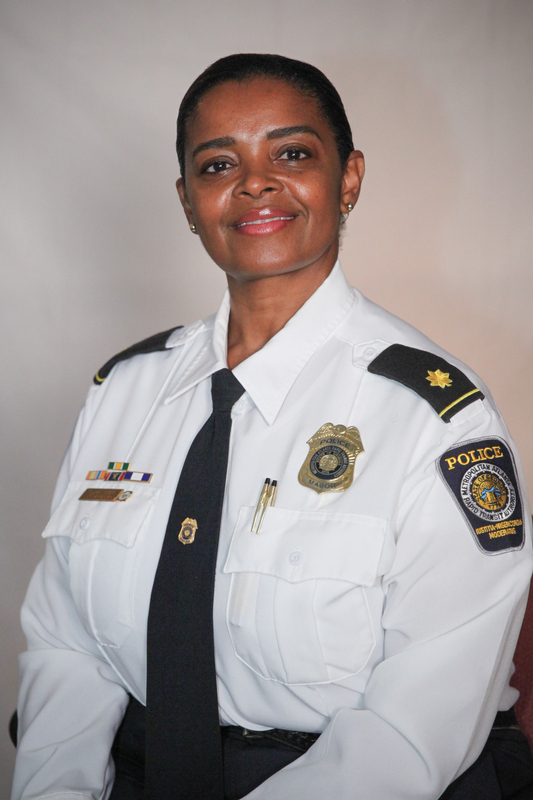 are primarily responsible for the safety and security of the students using the MARTA system. All officers meet with parents, school officials, administrators and juvenile justice officials to resolve issues that arise concerning disruptive or uncooperative students from the Metro area. 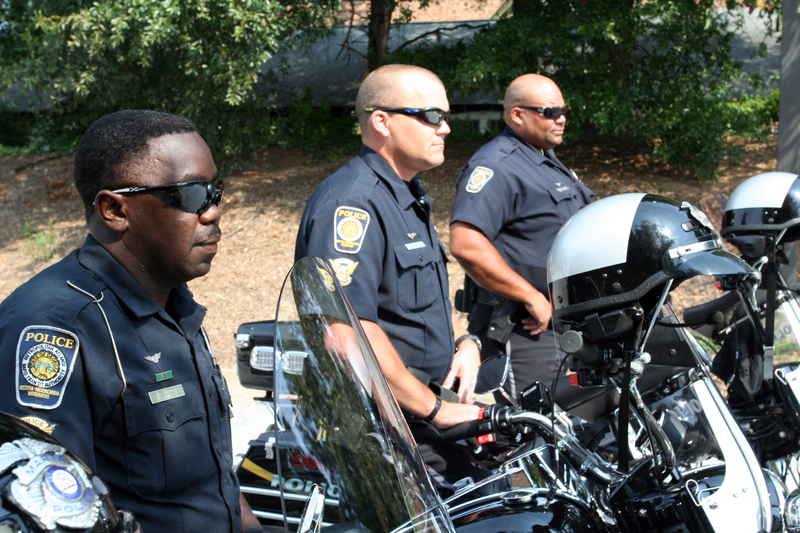 The Motor Unit was established in 2004 and supports the operations of the MARTA Police Department. In addition to assisting the department in calls for service and patrolling the bus routes, the Motor Unit also enforces traffic laws, provides funeral escorts, and ensures the expeditious flow of traffic during large-scale special events at MARTA. The Crime Scene Unit (CSU) is responsible for investigating and processing crime scenes. MPD’s crime scene investigators take photographs of the scene, dust for fingerprints, and collect forensic evidence, including DNA. They are also responsible for cataloging and storing all the property and evidence they collect. 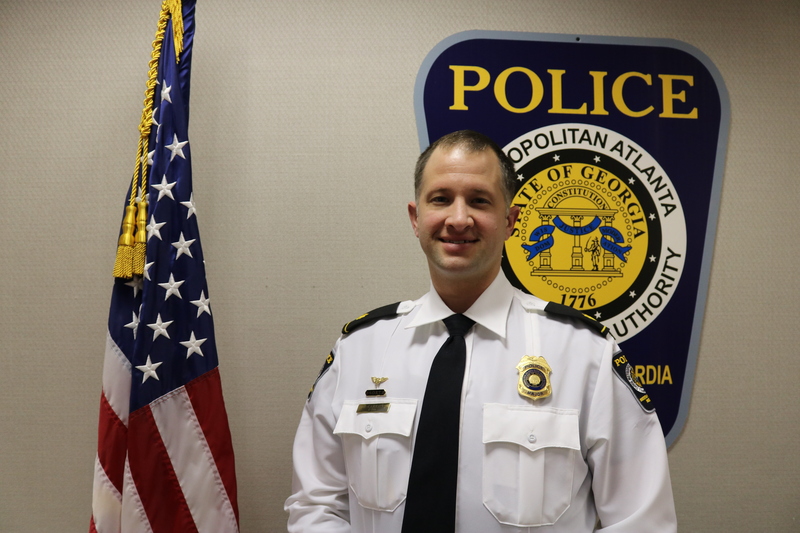 The MARTA Police Criminal Investigations Unit is comprised of a unit commander and five detectives who investigate all felonies and misdemeanor criminal incidents that occur within MARTA’s jurisdiction. Such incidents include crimes against persons, property crimes and financial crimes. They conduct criminal investigations, interview witnesses, and testify in court. Additionally, detectives are responsible for the processing of crime scenes and the collection of evidence. Each detective receives extensive training in various areas and aspects of criminal investigations which includes homicide investigation, sexual assault investigation, cybercrime investigation, financial fraud investigation, and crime scene investigation. 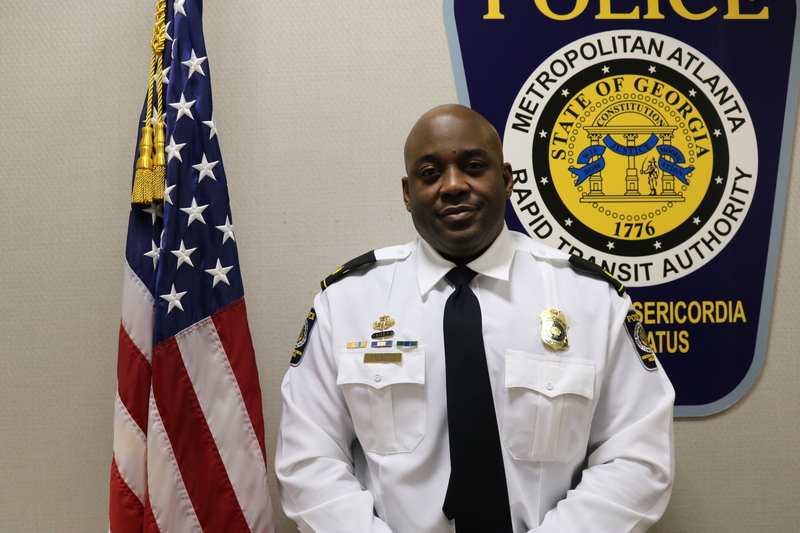 If you have information pertaining to an unsolved crime that occurred on MARTA or within its jurisdiction and wish to speak with a MARTA Police Detective, please call 404-848-4900. In life-threatening situations, the Special Operations Response Team (SORT) will be called in to secure the area and restore order. 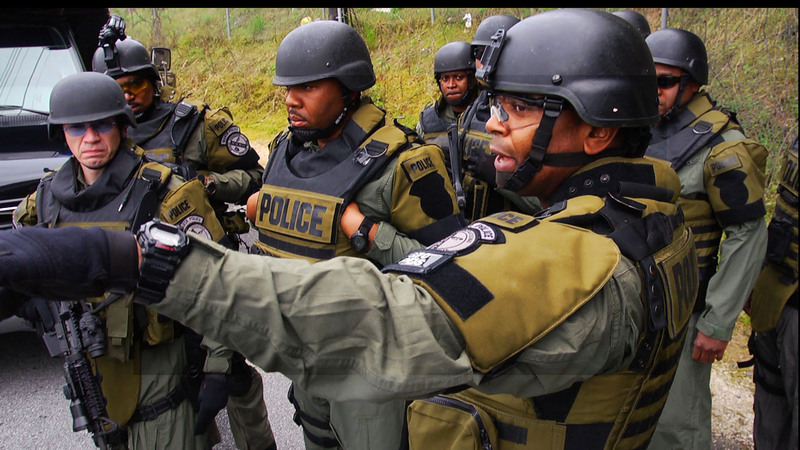 These highly-trained officers have increased tactical police, counter-terrorism, and surveillance capabilities. They are also able to respond to chemical/biological situations. Bomb Technicians respond to suspicious package calls and post-blast incidents. Bomb technicians receive extensive training and specialize in explosive evidence collection. The K-9 unit plays a special role in our department. Canine teams are comprised of an officer and working dog. MPD’s K-9s are trained to detect explosive items on the MARTA system and alert their handlers. 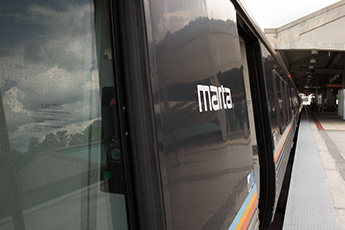 If a crisis situation occurs on the MARTA system, our negotiators will respond. Our crisis negotiators are prepared and well-trained in conflict resolution. Crises may include circumstances such as mentally disturbed individuals, hostage situations, barricaded suspects, and suicide attempts. MPD officers who are assigned to the U.S. Marshal’s Southeast Regional Fugitive Task Force participate in task force efforts to locate and arrest fugitives from the law. Officers assigned to the FBI’s Joint Terrorism Task Force investigate all terrorism-related cases involving MARTA’s mass transit system.